Flagship US Consulate is spacious and welcoming for every traveller, and has elegant styling and soothing lights in place to create a warm ambience for guests. The rooms are cosy with neutral toned walls, darker furnishings, small pieces of artwork and delicate lighting. 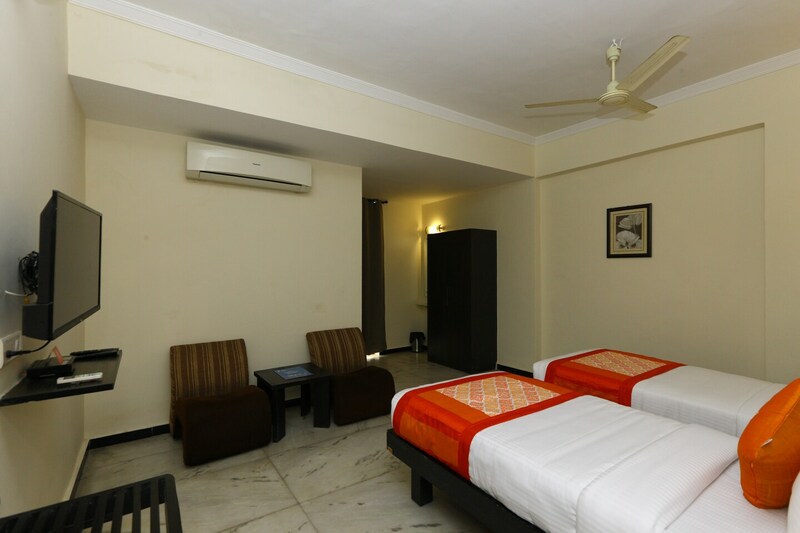 There is ample storage space in the rooms, so guests can easily unpack their belongings. The property offers free WiFi service, parking facility, CCCTV camera surveillance, elevators and laundry service. There is power backup, so that any possible power cut does not interrupt the experience of guests. The property accepts card payment. The Teynampet metro station is located closeby, making travel easier for guests.